This year my team won the CIF Championship which is the biggest thing you can do in California HS Football. This year my team won the CIF Championship which is the biggest thing you can do in California HS Football. We went undefeated at 13 and 0 and had a tremendous season. 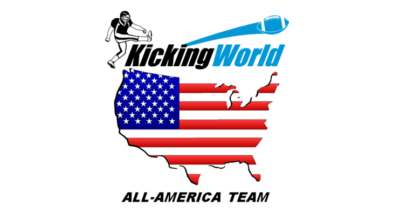 As you may know, I am the Kicking Coach at the HS and work with the kickers/punters and help out with Special Teams schemes. Our Kicker, Richie Hogan, was honored as 1’st Team All-CIF, 1’st Team All-Conference, and 1’st Team All-Orange County. I’m waiting to find out where he will be going to college. He is being heavily recruited by some top-notch division 1 football programs like Colorado State, Nebraska, Central Michigan, Utah, and some others. I anticipate some bigger football schools making offers very soon! Tune in to find out where he decides to go!